Society is never just a localized aggregate of people but exists by virtue of its members’ narrative and conceptual awareness of other times and places. In Jukka Siikala’s work this idea evolves into a broad ethnographic and theoretical interest in worlds beyond the horizon, in the double sense of “past” and “abroad.” This book is a tribute to Jukka’s contributions to anthropology by his colleagues and students and marks his 60th birthday in January 2007. 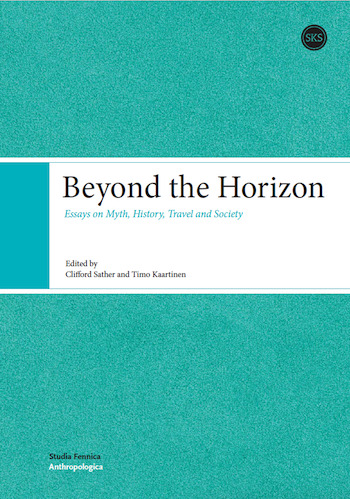 By exploring the near, distant, inward and outward horizons towards which societies project their reality, the authors aim at developing a new, productive language for addressing culture as a way of experiencing and engaging the world.